They are harmless but I still like to keep a fair distance away. There are a number of species of snakes in Japan. Most of them are non venomous. Hakuba has a lot of rice fields which breeds insects which brings frogs which inturn brings snakes. Coming from Australia I have a natural fear of them however the Japanese don’t seem to worry too much about them at all. Elaphe quadrivirgata, the Japanese Four-lined Ratsnake, or Japanese Striped Snake (Japanese: shimahebi = striped snake) is a non-venomous snake native to Japan. It is found in all areas of the country apart from the Ryukyu Islands. It typically grows to a length of 1-1.5 meters. The snake has yellow or light brown ground color, and gets its name from the four black lengthwise stripes sported by most of the species. It feeds on a variety of prey items, including frogs, lizards, insects, rodents, as well as birds and their eggs. In winter time they hibernate so there is no worrying about skiing over them. 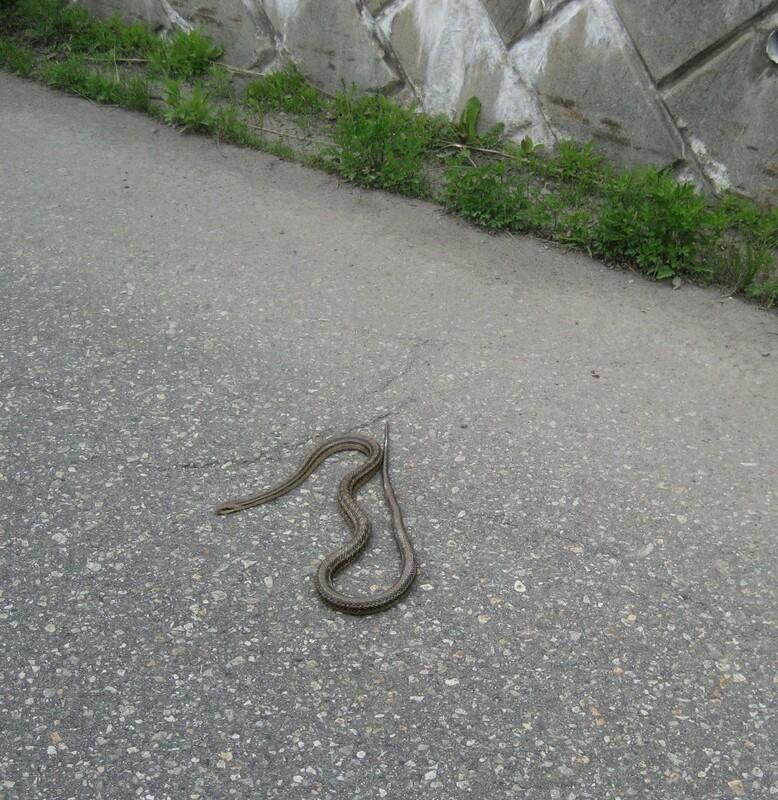 This entry was posted in Hakuba and tagged Hakuba, Japan, Nagano, snakes, wildlife. Bookmark the permalink.